Although I was working when the U.S. Mint began selling the 2016 Mercury Dime Centennial Gold Coin, I made an attempt to purchase the coin. The sale opened with a price of $206.00 and an announced mintage limit of 125,000. There was a household order limit of 10. 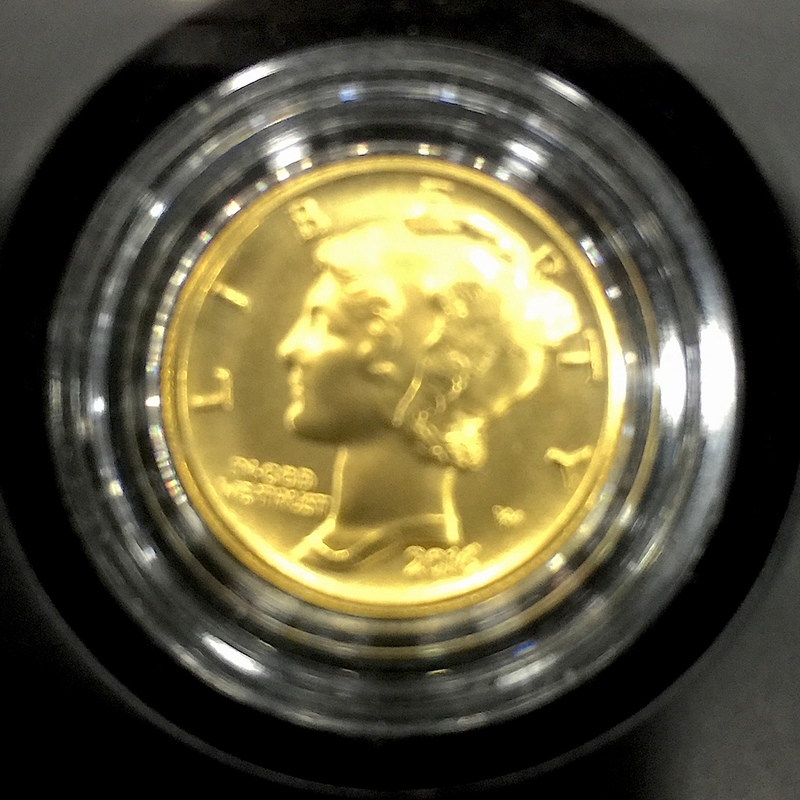 Although I was in a meeting, I tried to purchase this coin using the U.S. Mint app on the iPhone. Basically, the U.S. Mint app on the iPhone does nothing more than distill the mobile version of the U.S. Mint website on the iPhone. Since the app was not working properly, I opened Safari and tried to use the website directly. By the time I was able to get the system to respond, the coin sold out. Even though the U.S. Mint revamped the website, hired a new integrator, and added more capacity to the communications lines that lead to the server, the website failed to be able to handle the requests. The U.S. Mint hired a new contractor to make these improvements but still cannot get it right. Their website is not programmed to handle the crush of a popular product. As someone who has worked in the government for many years, we usually have to undergo a review of recent events to learn about what went wrong in order to fix the problems for next time. These reviews look at every aspect of the process and recommend changes. It appears that if the U.S. Mint performed these after action reviews they did not learn their lessons from past mistakes. Now is the time for the U.S. Mint to get out of the e-commerce business and hire a company that understands how to manage peak volumes. Services like Amazon and eBay have figured out how to manage users flooding their systems. I am sure that sales related to the U.S. Mint would not approach the traffic that comes on shopping holidays like Cyber Monday. Does Ticketmaster sell e-commerce solutions? The software they use that adds you to a queue to wait until you can order because the system has been flooded. In the cases when I used Ticketmaster or Live Nation, their sister site, to buy tickets to popular shows, I was forced to wait on the virtual line before being able to purchase tickets. Regardless of the model the U.S. Mint uses, they must do something. Either they need to figure it out or maybe a discussion with the Treasury Office of Inspector General may be worth the effort. NOTE: The U.S. Mint sent a note to the media saying that they would have a statement regarding the sellout on Friday (today). At the time of this writing the U.S. Mint has not released a statement. Amazing blog shared. Appreciate for sharing such a great blog.